It’s getting to be the dawg days of summer, which means our gardens are probably overwhelmed with tomatoes, squash, and other goodies. If you’ve ever raised zucchini, then you know how there can be an abundance of them in the garden. 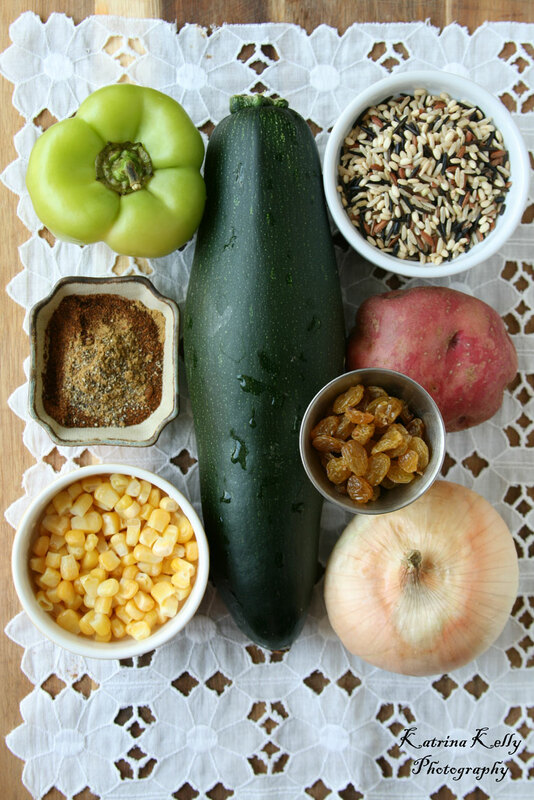 One of the sites I follow for recipes is Steamy Kitchen, and I took one of her recipes for Veggie Boats, and turned it all vegetarian. I now call these Zucchini Missiles. 1. Start cooking your rice. What kind of rice depends on how much water/time. With the wild rice I used 3 C. water to 1 C. rice. Bring water the a boil, add rice, and simmer low for about 35 minutes. 2. Cut your zucchinis in half length wise. With a spoon, scoop out the fleshy seed center. Place the ‘missiles’ facedown in a baking dish, adding 1/2 C. water, and your potato cut in half making sure your prick your potato with a fork. Cover with plastic wrap, leaving a vent. Microwave for 4 minutes. You can do this in the oven too, just bake longer and without the plastic wrap. 3. Bring a couple TBS of cooking olive oil to medium low heat. Add your finely diced onion and pepper. After a couple minutes, add minced garlic and spices. After a couple more minutes, add your diced potato, corn, raisins, and rice. Turn off heat. 4. Bring your oven to 400 degrees. 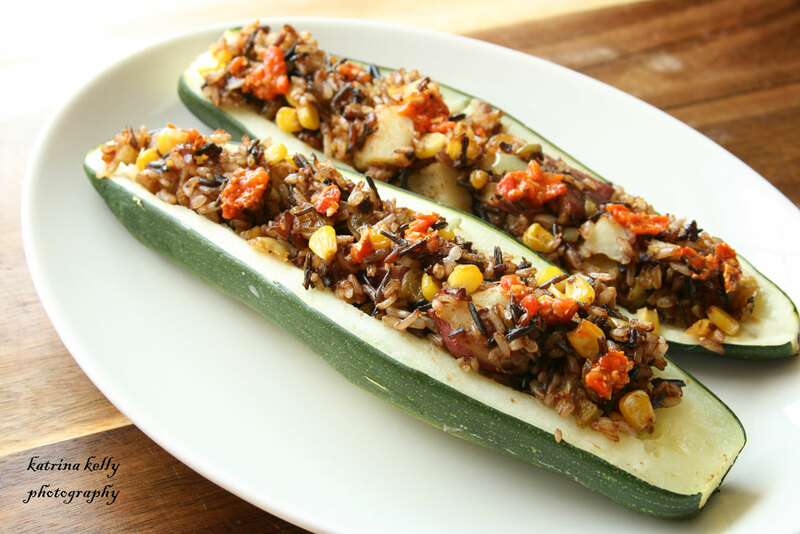 Fill Zucchini Missiles with the rice and vegetables and bake for 10 minutes. Top with hot sauce or red pepper spread.